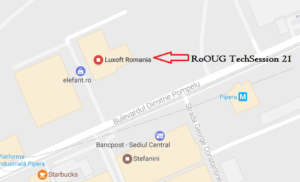 Pe 30 Mai 2017, Romanian Oracle User Group a pregătit un nou eveniment dedicat utilizatorilor de produse Oracle. Abstract:The presentation shows the use of a Thick-DB concept and a PL/SQL architecture: good and bad. From an AWR of a badly performing system we show the symptoms, and how the “root cause” was identified. Via the diagnosis we show some possible fixes and their limitations. This system was in fact a very cleverly built “Thick DB” application. But even a good concept on EXA-llent hardware can be abused to the point where users complain. After this presentation, attendee will be able to make better-informed decisions on the use of PL/SQL, notably the use of functions.